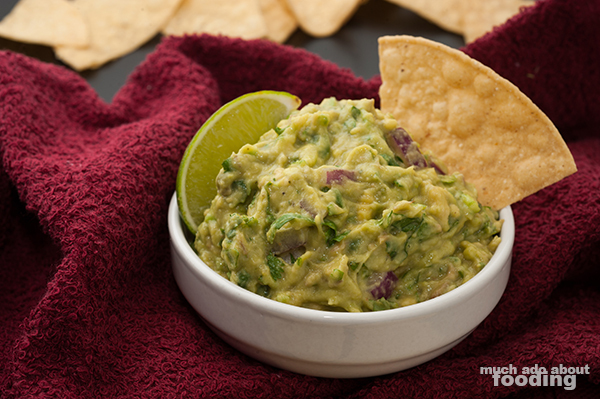 [Original post published December 2010 - this is the updated recipe] Guacamole is a dip that we all know fairly well. Usually reserved for festive occasions or for slathering on top of a bun to make a Southwestern burger, the avocado mash can be made complicated with varying ingredients but the base make-up is simple. You just mash avocado with some fresh cilantro, red onion, and chile peppers for taste and lime juice for both preservation and some zing. A few years ago, when I made guacamole for the first time, it was with some trepidation because I thought it would be complicated but hurrah, it isn't. Take this easy recipe for a whirl yourself and improvise once you're able to consistently make a good dip! Slice avocados in half and scoop out into a bowl with a spoon. Mince and chop ingredients but keep Serrano separated; remember to remove its seeds. Mash avocados in a bowl until smooth before adding in onion and cilantro. Squeeze in lime juice. I say to mix in the Serrano pepper last in case you don't want your guacamole too spicy. One small chile shouldn't be an issue but some people are sensitive. The chile, salt, and pepper are the last to be added and though written above in measurements, are to taste. 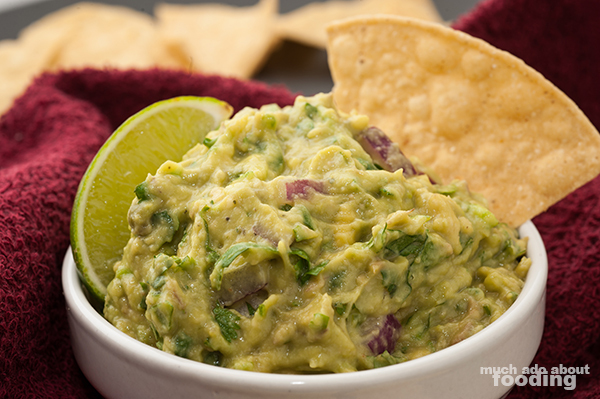 To prevent guacamole from turning brown on the surface before you serve it, cover the surface directly with plastic wrap to prevent air from touching it.